A Nobel laureate, Nelson Mandela was the man responsible for overthrowing apartheid & unifying the country of South Africa. Check out this biography to know in details about his life, childhood, profile & timeline. Ironically, his baptized forename, ‘Rolihlahla’ meaning ‘troublemaker’, blended well with his personality over the growing years as Nelson Mandela caused serious trouble to the government of South Africa, through this anti-apartheid movement and revolutionary ways. Inheriting the ‘proud rebelliousness’ and ‘sense of fairness from his father, Mandela was raised in a Methodist Christian community. Ever since a young age, he was actively involved in anti-colonial politics, which led to his joining the ANC. The admittance was a historic one not only in the life of Mandela but that of every countrymen of South Africa, as it eventually led to a discrimination-free country. Inspired by Gandhi and committed to non-violent struggle, Mandela however moved to armed struggle after a phase of time. This was basically due to failure of non-violent protest against apartheid and increasing repression and violence from the state. In his 67 years long political career, Mandela led numerous movements, and was arrested, convicted and imprisoned various times, the longest being the 27 years life imprisonment. However, all the pain was worth it as year 1994 marked the end of apartheid and holding of multi-racial elections. What’s more, Mandela became the inaugural President of the country (apart from being the first black South African to hold the office). Probably, this is why he is referred to by numerous titles, including ‘the father of the nation’, ‘the founding father of democracy’, ‘the national liberator, the saviour, its Washington and Lincoln rolled into one’. Nelson Mandela was born Rolihlahla Mandela, on July 18, 1918, to Gadla Henry Mphakanyiswa and Nosekeni Fanny. His father served as a local chief and councillor to the monarch. He was a polygamist with four wives and thirteen children, including four boys and nine girls. Mandela grew up in the village of Qunu. Much of his early years were spent herding the cattle and playing with other boys of the district. Though both his parents were illiterate, they realized the importance of education and sent Mandela to a Methodist school when he was seven. Two years later, Mandela acquired the first name, Nelson, which was given to him by his teacher. Post the death of his father, Mandela was entrusted to Chief Jongintaba Dalindyebo by his mother. He became a significant part of the Dalindyebo family, who treated young Mandela as their own child. He attended a mission school which was located near the palace. It was here that his interest in African history grew tremendously. Alongside this, he also studied other subjects like English, Xhosa, history and geography. Mandela attained his secondary education from reputed institution, post which he enrolled at the Methodist college in Fort Beaufort in 1937. Though the teachers emphasized on the significance and superiority of English culture and government, Mandela found his true calling in native African culture. He then attended the University of Fort Hare to attain his graduation degree but due to his involvement in the Student Representative Council and his boycotting against the university policies, he was told to leave. Mandela moved to Johannesburg in 1941. While he completed his BA via a correspondence course during the night, most of the time during the day was dedicated to working for the African National Congress activist, Walter Sisulu. Post completing his BA in 1943, Mandela enrolled at the University of Witwatersrand to initiate his law studies. He was the only native African in his class. 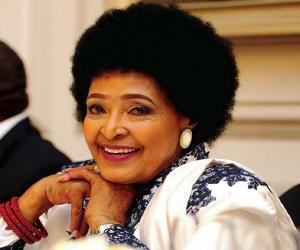 Mandela joined the ANC under the leadership of Sisulu, who was increasingly influencing Mandela. It was during this time that Mandela's political ideals were formed. He became actively involved in the anti-apartheid movement and even suggested the need for a youth wing in ANC, which led to the establishment of African National Congress Youth League (ANCYL), on Easter Sunday, of which Mandela was in the executive committee. Mandela was appointed as the national president of the ANCYL in 1950. In his new found position, Mandela continued his fight against racism. Other than this, he delved into a larger picture which meant working for national liberation. Two years henceforth, Mandela, profoundly influenced by Gandhi, set on the path of non-violent resistance. He formulated the Defiance Campaign against apartheid with Indian and communist groups. Starting with a group of merely 10,000 people, in no time the numbers expanded to reach 100,000. The government, in order to counterattack the campaign, permitted martial law and mass arrest. 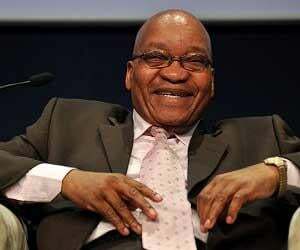 They even banned Transvaal ANU President J. B. Marks from making public appearances, a result of which was Mandela taking up the position as his successor. For his anti-apartheid movement, Mandela was arrested a couple of times. He was convicted of contravening suppression of communism for his Defiance Campaign and given a suspended prison sentence on July 30, 1952. Additionally, he was given a six-month ban from attending meeting or talking to more than one individual at a time. As a result of the ban, Mandela structured out M-Plan or Mandela Plan, which involved dividing the organisation into a cell structure with a more centralised leadership. The main aim of the plan was to enable the leading members of the ANC to maintain dynamic contact with its members without recourse to public meetings. Meanwhile, Mandela passed his qualification examination to become a full-fledged attorney. He started working for the firm Terblanche and Briggish, before opening his own law firm in collaboration with Oliver Tambo under the name, Mandela and Tambo. The firm was the only African-run law firm and often dealt with cases of police brutality. In 1955, Mandela formed the Congress of the People, with active involvements from South African Indian Congress, the Coloured People's Congress, the South African Congress of Trade Unions and the Congress of Democrats. The main aim of the move was to evoke South Africans and ask them to send in proposals for a post-apartheid era. Numerous proposals came in which were implemented upon to form the resultant, Freedom Charter. Created by Rusty Bernstein, the charter aimed at creating a democratic, non-racialist state with the nationalisation of major industry. A conference was called upon and attended by 3000 delegates. However, it did not turn out to be productive as police intervened. Despite being banned several times, which restricted him from public appearance; Mandela defied the same and often appeared in the public. Following this, on December 5, 1956, Mandela, along with other ANC activist were arrested on grounds of high treason against the state. Though they were bailed out a fortnight later, the legal proceedings began only on January 9, 1957 in which the judge resolved that there were sufficient reason to put the defendants on Trial. The trial which ended six years later, in 1961, proclaimed the innocence of the defendants and billed them as ‘not guilty’. Meanwhile, militant Africans formed a new group under the leadership of Robert Sobukwe, which was called the Pan-African Congress (PAC). The activity against the government caused mass arrest, including imprisonment of Mandela and other ANC and PAC leaders and banning of the two organizations. From 1961 until 1962, Mandela travelled throughout the country in a disguised avatar and spread the mass stay-at-home strike. He was also involved in organizing the ANC’s new cell structure - Umkhonto we Sizwe or ‘Spear of the Nation’, popularly known as MK. MK was the armed wing of ANC and was involved in channelling some violence against the government. The MK intended to exert maximum pressure on the government causing minimum civilian harm. As such, they mostly attacked the military installations, power plants, telephone lines and transport links at night. Mandela was chosen as a delegate of ANC to the February 1962 Pan-African Freedom Movement for East, Central and Southern Africa (PAFMECSA) meeting. The tour was a profitable one as Mandela was exposed to the political reforms of other countries and met prominent activists, reporters and politicians. Additionally, he also managed to collect some funds required for weaponry for MK. Upon his return to South Africa, Mandela was arrested for illegal exit from the country and sentenced to five years of imprisonment. The imprisonment protracted to become life-imprisonment for Mandela as he was convicted for crimes that had occurred while he was spearheading the ANC struggle. He was sent to Robben Island Prison, a maximum security prison on a small island near Cape Town, where he spent nearly 18 years of his 27 years sentence. After this, he was transferred to Pollsmoor Prison in Cape Town and later to the Victor Verster Prison near Paarl from where he was eventually released. Though Mandela was offered freedom on a couple of occasions in exchange for compromising on his political position, he refused to accept the same. He stood by his opinion according to which personal freedom was of no use if the organization of the people remained banned. State president F.W. de Klerk lifted the ban on the ANC and announced the release of Nelson Mandela from the prison on February 2, 1990. His years at jail had not weakened the spirit of fighting in him, as Mandela declared his commitment to bring peace to the black majority and give them right to vote in elections. He returned to the leadership of ANCF and resumed office as the elected President of ANC, headquartered in Shell House. With his multi-party negotiation, he argued for the first multi-racial elections. Though the White South African’s were willing to share power, the black wanted complete control and transfer of power. Due to this, violent eruptions became common. However, Mandela worked to achieving a delicate balance of political pressure and intense negotiation amidst armed resistance. In 1994, South Africa held its first democratic elections. The result of the election was in favour of Mandela who went on to become the country’s first Black President. As a President, Mandela worked day in and out to smoothen the transition of a minority black rule to a majority black rule. He ended the apartheid rule and established a new Constitution, according to which a strong central government based on majority rule was formed that guaranteed the rights of minorities and the freedom of expression. After his successful first term, Mandela declined to contest for the second term and retired from active politics. 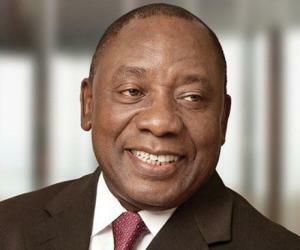 However, he continued to remain active on the social front as he raised funds for building schools and healthcare centers in the rural parts of South Africa. He founded the Mandela Foundation and served as a mediator in the Burundi civil war. Mandela was the founding member of the ANC Youth League. It was during his service at the ANCYL that he transformed the organization from its root level, trashing out all the old methods and employing fresh methods of boycotting, striking, civil disobedience and non-cooperation. His main aim was to kill racism, allow full citizenship to people, redistribute land, bestow trade union rights, and provide free and compulsory education for all children. He rose to prominence for his Defiance Campaign in 1952 and Congress of the People in 1955. The campaign involved non-violent action of defiance against South African government and its racist policy. He was the founder of the Umkhonto we Sizwe or ‘Spear of the Nation’, popularly known as MK. One of the cell of ANC, it was devoted to portraying violent action against the government. Nelson Mandela is the proud recipient of the Nobel Peace Prize, which he received along with de Klerk in 1993. He dedicated the award to Mahatma Gandhi, whom he was deeply influenced from. In 2009, The United Nations General Assembly declared Mandela’s birthday as ‘Mandela Day’, as an effort to pay tribute and homage to his great work in the anti-apartheid movement. Queen Elizabeth II decorated Mandela by bestowing upon him the Bailiff Grand Cross of the Order of St. John and the Order of Merit. Mandela became the only living person to be awarded with the honorary Canadian citizenship when he received the Order of Canada. Nelson Mandela tied the knot thrice in his life. 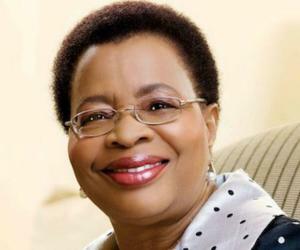 The first was to Evelyn Ntoko Mase in October 1944. 13 years of togetherness ended on a crashing note as evelyn charged Mandela on grounds of adultery and constant absences. The couple had four children, two sons and two daughters, out of which only two survive presently. In 1958, Mandela walked up to the aisle for the second time alongside Winnie Madikizela-Mandela. The couple was blessed with two daughters. The two separated in 1992 following which they finally divorced in 1996. In 1998, Mandela remarried Graca Machel (nee Simbine), widow of Samora Machel, on account of his 80th birthday. Ever since 2004, Mandela suffered from depreciating health condition, which worsened in 2011 when he was hospitalized due to respiratory illness. Mandela was hospitalized a number of times since then and he finally breathed his last on December 5, 2013. Though he is popularly known as Nelson Mandela, his forename isn’t the same as his baptized name. He was the first elected President of South Africa. He was also the first black President of the country. In South Africa, he is known by the titles, ‘the father of the nation’, ‘the founding father of democracy’, ‘the national liberator, the saviour, its Washington and Lincoln rolled into one’. Nelson Mandela was the first member of his family to attend school. He, along with Oliver Tambo, set up South Africa's first law firm run by blacks in 1952. Nelson’s Mandela’s favourite dish was tripe—the stomach lining of farm animals. He was often referred to as “the Black Pimpernel” for his ability to disguise himself in order to evade arrest. He frequently adopted the disguises of a fieldworker, a chauffeur, or a chef. He was a great communicator and devised a way of passing secret notes to other prisoners while he was incarcerated on the infamous Robben Island. He believed that sports were great means of bringing the racially divided country together. A prehistoric woodpecker, Australopicus nelsonmandelai, is named after him. Mandela was once on the U.S. terror watch list because of his militant fight against apartheid. Nelson Mandela appeared in a cameo as a school teacher in the 1992 movie ‘Malcolm X’. Mandela was the recipient of more than 250 awards, including honorary degrees from more than 50 universities worldwide.